Do you Think Win Win? This year we will take a Leadership journey and develop our character while using the Seven Habits of Highly Effective People. 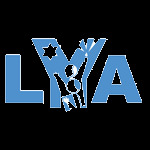 These habits and traits will become an important part of your day at LYA and at home. Remember the important thing is that you are in control of how you think and act. Each month we will focus on a different character trait that you students chose at the end of last year. The Early Childhood Program will work on three character traits for the year, while grades 1-5 and middle school will work on a new character trait each month. Click on the side bar to see the Character Traits that we will be working on this year.